The Supreme Court of Canada has upheld the Ontario government's right to permit industrial logging on the Grassy Narrows First Nation's traditional lands, in a 7-0 decision released today. The Supreme Court of Canada ruled today in favour of the Ontario government's right to permit industrial logging on a First Nation's traditional lands. Friday's 7-0 decision comes on the heels of a historic judgment in the Tsilhqot'in case in British Columbia that changed the way governments must deal with First Nations who can claim aboriginal title over their traditional territories. The difference between the Tsilhqot'in and Grassy Narrows First Nations is that Grassy Narrows had a treaty with the government. The Tsilhqot'in did not. The top court ruling comes after the province decided to issue a logging licence on land Grassy Narrows considers its traditional territory. The First Nation worried about the adverse effects of clear-cutting on hunting, trapping and drinking water quality. "This has been a long fight, and while we are disappointed in today’s outcome, we will be continuing to fight to protect the health, welfare and culture of the people of Grassy Narrows using all the tools available to us. 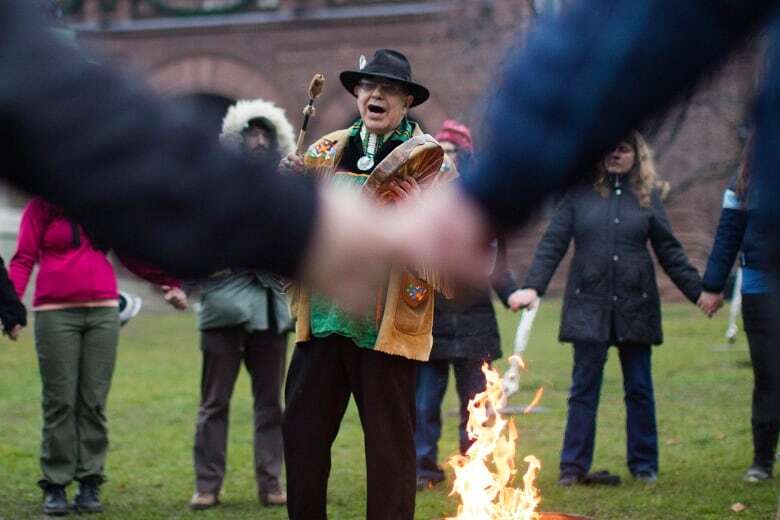 We believe Ontario and industry are morally and politically obliged to seek our consent before logging our lands," Grassy Narrows trapper J.B. Fobister said. The main issue was whether provincial authority applies on these particular treaty lands. According to Canada's 1867 Constitution, the federal government has exclusive authority over "Indians and lands reserved for Indians." But Treaty 3 allowed for the "taking up" of lands for mining, towns and forestry among other things. Municipalities and natural resources are the responsibility of the provincial government under the Constitution. The Supreme Court found that "both levels of government are responsible for fulfilling the treaty promises when acting within the division of powers under the Constitution." That means, according to the court, that "Ontario, and only Ontario, has the power to take up lands under Treaty 3." Treaty 3 was one of 11 treaties — known as the Numbered Treaties — negotiated soon after Confederation between the federal government and First Nations. Friday's ruling is in keeping with the Tsilhqot'in decision, which also recognized the authority of the province to regulate uses of First Nations land. But because the Tsilhqot'in have title to their land, any infringement by the government must meet a high bar of justification. A simple consultation and accommodation will not do. By the same token, the Tsilhqot'in must abide by provincial regulations when setting up mining or forestry operations within their territories. In the case of the Grassy Narrows First Nation, Treaty 3 extinguished their aboriginal title rights and replaced them with treaty rights. The province must still take those treaty rights into consideration when using the land. "The provincial government in pressing ahead, while it has the jurisdiction to do so, has to live with certain fairly strict rules around consultation — about having to listen to First Nations' concerns, where possible accommodate them and being open to different solutions," explained Robert Janes, the lawyer for the Grassy Narrows First Nation.